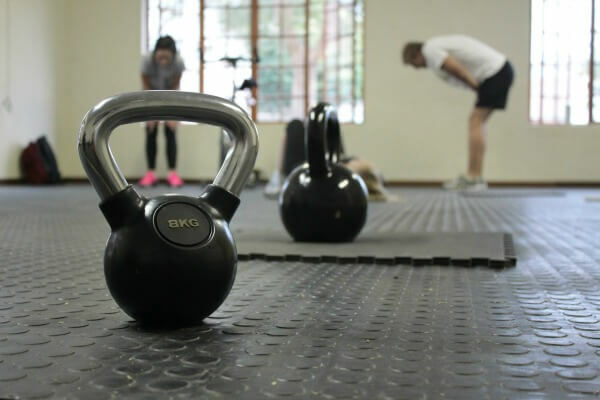 Kettlebells are great to use either in a traditional gym or as an addition to your home gym workout. 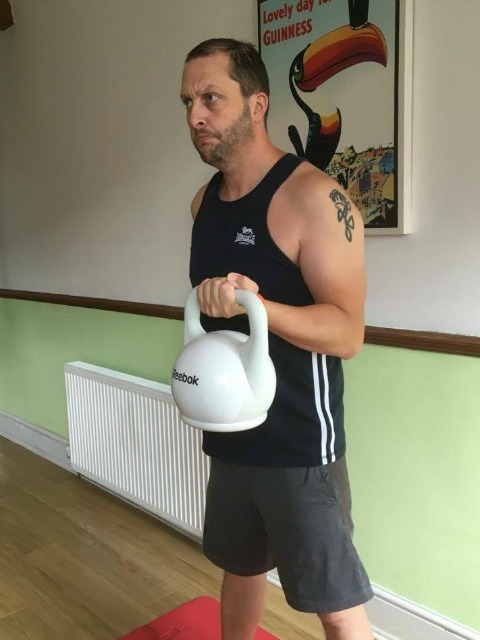 These kettlebell exercises for men are my favourite and some I do every day. To see some of the best kettle bells to buy click here for my guide. This exercise is a basic kettlebell move that works your hamstrings, your glutes and also strengthens your back. 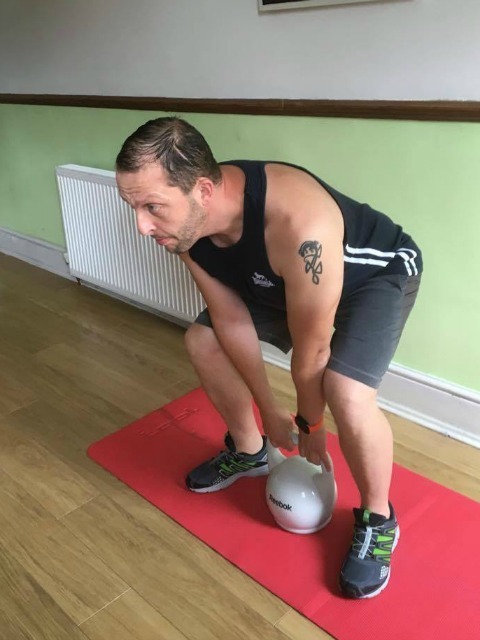 Stand with your feet shoulder width apart and the kettle bell situated on the floor directly underneath you. When you bend down to pick it up keep your back straight and stick your bum out. 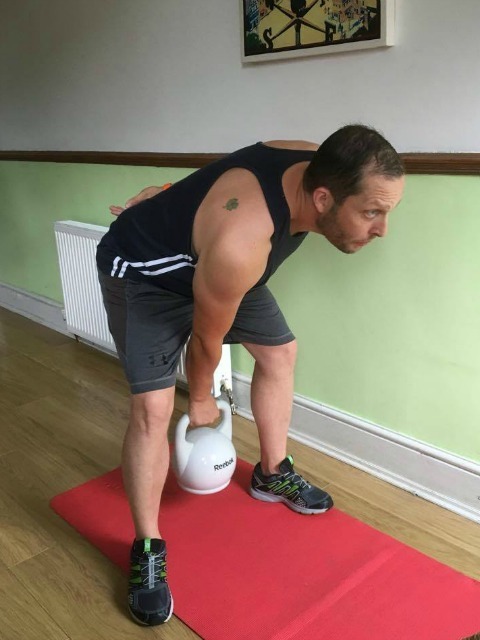 You want the kettle bell to be directly in your line of gravity. Pick up the kettlebell and straighten up. You’re not swinging it or bringing it higher, you’re just standing naturally with it. You can use kettle bells in place of regular dumbbells and so a natural place to start is a bicep curl. If you have two kettle bells the same weight you can obviously do the curls for each arm at the same time, but if not, just do one at a time. Grip the kettlebell and hold with your arm down and at your side. Keep your knees slightly bent. Curl the weight upwards and then control it back to the original position. The russian twist is excellent for core strength and your oblique muscles. Sit on the floor with your legs stretched out in front and cross your ankles. Lean your back slightly to around a 45 degree angle. Have the kettlebell at the side of you and then pick it up and move it from one side to the other. A way to make it more demanding and advanced is to lift your legs while doing the twist and have them raised about 6 inches or so from the floor. One of the first kettlebell exercises you will probably do is the kettlebell swing. This is normally done with two arms, but this version is done with one. 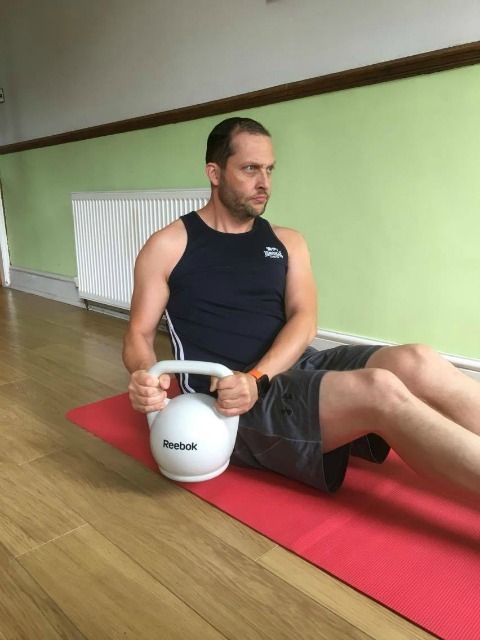 Standing with feet at shoulder width apart, grab hold of the kettlebell in one hand, swing it between your legs and then bring it back up in front of you. You should aim to bring it up to eye level, any higher and you risk it hurting your hand. Repeat with the other arm. This exercise helps leg strength and also core. Stand with legs shoulder width apart. Hold the kettlebell close to and in front of your chest with both hands. 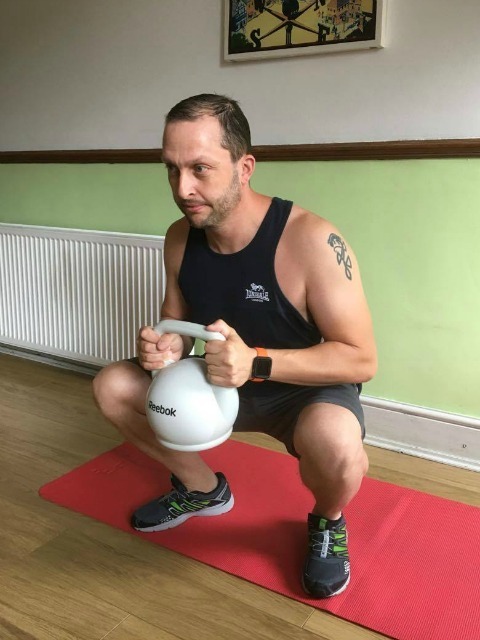 Squat down holding the kettlebell steady and return to the original position.